YEARBOOK The Institute of Philosophy and Law. of the Russian Academy of Sciences. 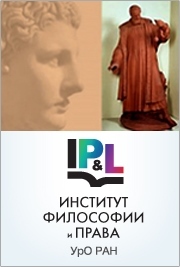 The Institute of Philosophy and Law.